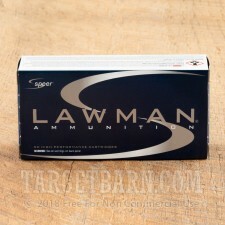 This 9mm Luger ammunition from Speer's Lawman series is a top quality practice load for any shooter, but works particularly well for those who carry Speer Gold Dot hollow points. Lawman ammo is designed to produce the same recoil and external ballistics as its Gold Dot counterpart while hitting a much lower price point--perfect for serious training on a budget. 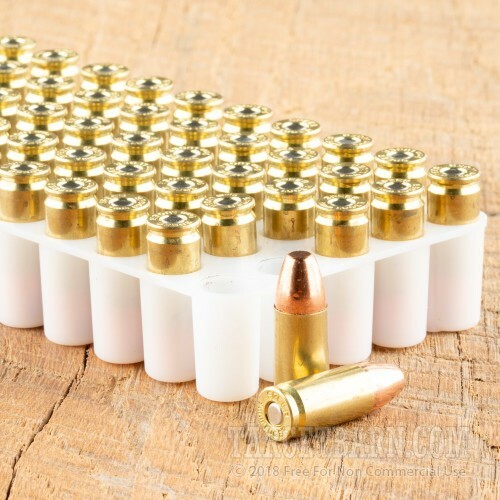 Each round in this bulk case of 1,000 fires a heavy 147 grain total metal jacket bullet at a subsonic muzzle velocity of 985 feet per second. 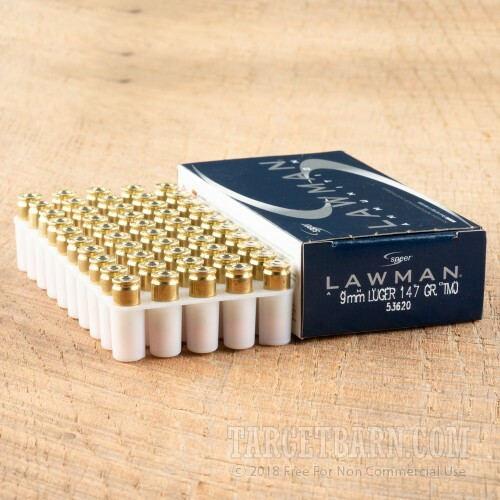 The use of total metal jacket bullets significantly reduces airborne lead release when the cartridge is fired, making this ammo particularly well-suited to indoor ranges. 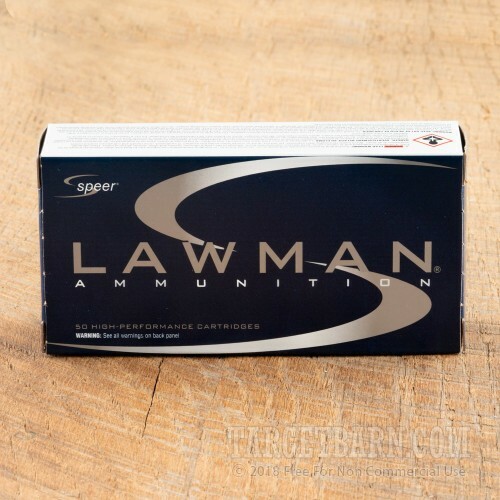 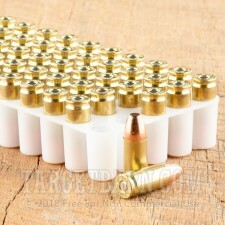 Lawman ammo is made in Lewiston, Idaho using non-corrosive primers and reloadable brass cases.